The RYA's programme of one-day support courses enables you to expand your knowledge and skills in specialist areas. They are great as stand alone courses, but also complement courses in our various practical training schemes. 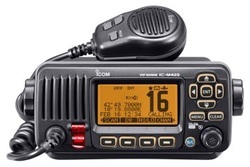 Some courses, such as the Marine Radio Short Range Certificate, are a pre-requisite for higher qualifications. We offer a range of these courses, shown below, and usually run over one full day or a number of shorter sessions.